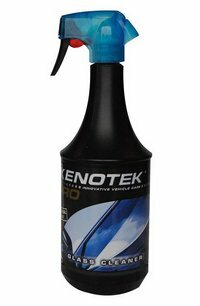 Kenotek Glass Cleaner is a highly efficient and tremendous value colourless liquid car and domestic glass window cleaner. It cleans without smearing: windows, mirrors, plastics and chrome. Suitable for interior or exterior use. It also efficiently removes nicotine residues, smears and finger marks. The big value 1 litre bottle is tactile and includes a robust spray head with safety lock.